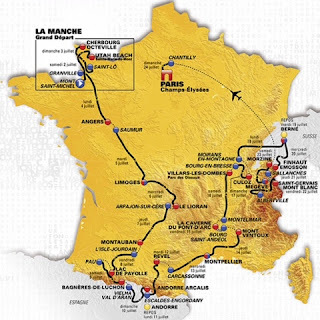 Last week saw the official launch of the 2016 Tour de France route in a glittering, star attended ceremony in Paris. Unfortunately my invitation seemed to get lost in the post so I had to make do with checking it out on their website, but it was still exciting to discover the route is going to be coming a lot closer to the Poitou-Charentes than it did this year. Most notably for us, Angers in the Loire will be a finish point on Monday 4th July and the neighbouring town of Saumur will be the start point on Tuesday 5th with Limoges in the Limousin doubling up as the finish point on Tuesday and the start point on Wednesday 6th. If you would like to catch a bit of the action, which I highly recommend, check out Freewheeling France for lots of ideas of bicycle friendly accommodation in France. 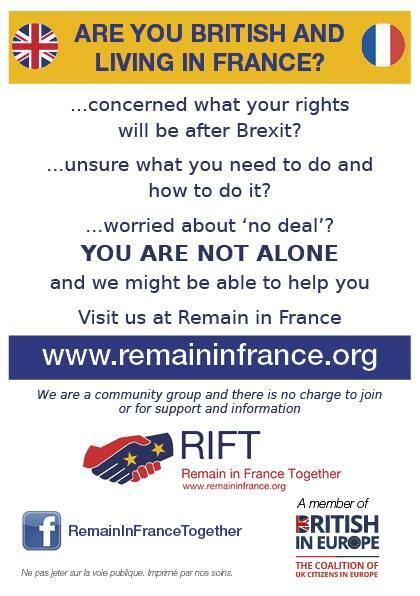 Also, Grange 87, the apartment in Eymoutiers where we spent a lovely night in September, will be a perfect base for Tuesday 6th and Wednesday 7th. As usual Paris will host the final on Sunday 24th and we are already looking at hotel reservations having really enjoyed the experience and atmosphere this year, despite the weather, and it wasn’t as expensive as you might expect. Now the clocks have changed to wintertime we have reached the season where the weather won’t always be ideal for cycling, but it is not all doom and gloom as it's a great time of year to indulge in some cycle themed reading. Here are a few suggestions of books that I have enjoyed. Tour De France Records 2015 is a great coffee table book that is ideal reading matter for all Tour fans, from beginners wanting to understand a bit more about the event, the locations and the riders, to real enthusiasts wanting to assimilate ALL the facts. I think we fall somewhere between the two, but having spent a weekend dipping in and out of this book I’m sure we are well on the way to becoming proper Tour nerds. With over two hundred pages packed with facts and trivia this book would also be a great gift for the cycle enthusiast in your life. Victoria Pendleton’s Between the Lines: My Autobiography is an emotional journey that shows just what it takes to make an Olympic champion. I will admit I’m not someone who has followed Victoria’s career from the start, rather, I am a wife and mother in my forties who discovered cycling less than five years ago and who now owns a Pendleton Initial road bike. The more I ride the more interest I have for the sport and it’s stars and I couldn’t wait to read Victoria’s story. I was instantly hit by the drive, determination and emotion flowing through this book that gripped me and kept me page turning. I also learned a lot about the world of track cycling, and the work and sacrifices it takes to become a champion. Reading this book left my head awash with emotions and adrenalin as well as a huge respect for a great sportsperson. Cat by Freya North, is a novel that follows sports journalist Cat as she gets to grips with the mad world of the Tour de France while working on her first reporting assignment. This is a well researched book that combined my love of writing, cycling and reading, where there was a real tingle of excitement at the finish line each day as well as plenty of romance mingled with life behind the scenes of one of the greatest sporting events in the world. I loved this book, I loved the character of Cat and if I’m honest I really wanted to be Cat, she has the job of my dreams. Ned Boulting, a real journalist and TV commentator has written two very witty accounts of life behind the scenes of the Tour de France, How I Won the Yellow Jumper: Dispatches from the Tour de France and 101 Damnations: Dispatches from the 101st Tour de France . His first book is his tale of his first tour and tells how a cycling novice becomes a huge fan, despite a wobbly start. His second book is his account of the 2014 Tour de France that started with much fanfare and hope in Yorkshire, but quickly became a difficult and disappointing tour for Britain and our riders. I enjoyed both of these books where life on the road is recounted with humour, interspersed with some great facts and trivia for wannabe tour nerds like me. This seasons new releases include memoirs by Team Sky’s Geraint Thomas The World of Cycling According to G and recently retired David Millar The Racer: Life on the Road as a Pro Cyclist who is now on the Tour commentary team with Ned Boulting. I’m looking forward to reading these two memoirs this winter. One Day Ahead: A Tour de France Misadventure by Richard Grady, my review. French Revolutions: Cycling the Tour de France by Tim Moore, my review. 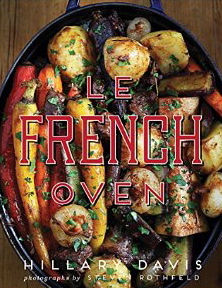 My review today is for Le French Oven by Hillary Davis, food journalist, author and cooking instructor who lived near Nice for eleven years and is passionate about French food. I received the ebook version of this book to review and I was immediately drawn to the fantastic pictures. In fact I would go so far as to say Steven Rothfeld’s photographs in this book are stunning and some of the best I have seen in a long while and as well as pictures of the food, there are shots of the markets of France, vignettes of French life and beautiful scenery. If they look this good in the ebook version I can only imagine that the glossy hardback book must be a work of art and worth it’s price even before you get around to trying the recipes. The only downside I can see is that I would probably be afraid to use it in the kitchen for fear of splattering it and staining it with greasy marks. Now on to the important bit, the recipes. Every one of Hilary’s recipes in this book (and there are almost 80) is cooked in a crock pot/heavy duty casserole (often referred to as a Dutch Oven), but for the purposes of this book and the fact that the best are made in France, Hilary uses the term French Oven and I’m glad she did. Hilary gives us a history of the French Oven, a handy guide to the best French brands available, and not all of them were names I recognized, as well as a helpful section on which one (or ones) to choose. Be warned, reading this book will make you realize you need more than one! Even as a lover of using mine I had no idea the French Oven was such a versatile cook pot and I am almost ashamed of my ignorance. As well as the more expected stews and roasting recipes, Hilary also includes some delicious appetizers, soups and desserts and even shares how to bake bread in it. With a potager spilling over with squash I have made the Velvety Pumpkin Pie Soup and it made a really nice change to try something different from my usual recipe, even if I did have to improvise slightly as pumpkin pie spice and half-and-half (a light cream) are not as readily available here as in the US. I have been inspired by Hilary to use mine when I wouldn’t normally and just this week I made a batch of savory apple sauce in it. If you have one that sits at the back of the cupboard, this book will give you all the encouragement you need to make it a central part of your kitchen. I don’t think it is too early to be thinking about Christmas pressies and I’m sure this is a book any lover of French food would be delighted to receive. Le French Oven is published by Gibbs Smith and is available in hardback (go on treat yourself) and ebook format. Links to Amazon can be found below. 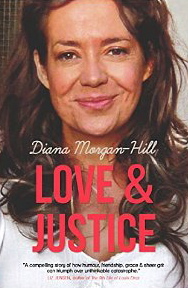 My review today is for Love and Justice a memoir by Diana Morgan-Hill. This is not a memoir about a new life in France, but an honest account of recovery and coping following life-changing seconds that forced a new and challenging life upon Diana. 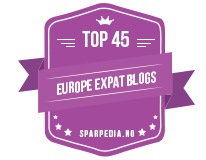 France does make more than one appearance as an important location in her life, plus as I met Diana in France (see here) I felt I had to share her remarkable story with you. 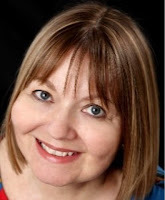 Diana writes with honesty and (believe it or not) humour about the accident that took her from a tall, leggy, high-flying businesswoman to a vulnerable victim coming to terms with losing both her legs; a train in a station, a passenger in a hurry, an inattentive guard, a life changed forever. There is despair, pain (both physical and emotional), but more than anything there is bucket loads of determination that showed she may have lost her legs, but there was still a lot of life left in her. Following the accident, there was much more for Diana to cope with than just coming to terms with the physical changes. There was the prejudice she encountered as a wheelchair user, the guilt she felt at the grief and suffering she caused her loved ones by being in the wrong place at the wrong time and having worked in the TV industry where image is everything, her career was unexpectedly in danger too. Diana showed that you don’t know how deep your reserves are until you have to dredge right to the bottom. What I found the most disturbing was the way she was treated by the legal teams. Unfair doesn’t even come close. Then there are the positives, the love she felt from those around her, even when they didn’t always know the right thing to say, but supported her by being with her and the experiences that she has had in the last twenty years that outweigh the what-ifs and lost opportunities. This is not an easy to book to read in places but it is a story that will stick in your head for a long time. Love and Justice is available in ebook and paperback format and is published by Blackbird Digital Books. Amazon links can be found below. Today I am taking part in a Brook Cottage Books virtual book promotion event for A Kiss from France by Susan Hughes, published in July by Silverwood books. London, 1917. Lizzie Fenwick is young, ambitious, and in love. At least, she thinks she's in love with the soldier who answered the note she concealed in a box of ammunition shells. She spends her days filling shells with TNT, and her nights dreaming of the mysterious Harry Slater. Eunice Wilson knows the exact moment her marriage to Jack began to fracture. He refused to enlist, and their patriotic neighbours never let her live it down. Now he's been conscripted and she can't help but feel regret for shunning Jack before his departure. As separate tragedies cause Lizzie to make hard choices and Eunice to cope with loss, the two women are unsure how to adjust when peace finally returns. Little do they know that an earlier war-time betrayal will force Lizzie and Eunice to confront everything they knew about friendship, loyalty, and love. 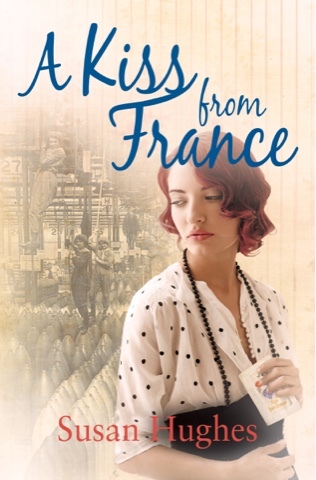 A Kiss From France is a historical fiction romance novel set in London's East End during World War I. If you like compelling human stories, believable female protagonists, and the suspense and intrigue of war-time London, then you'll love this heartfelt tale of two women who yearn to feel alive in a broken world. I really enjoy historical fiction set during the First World War and the title of this one grabbed my attention. A note posted in a box of ammunition shells, wishing luck to a soldier on the front line, gets a reply and life in the East End of London changes forever. The war had already forced change on the role of women; girls free from a life in service were now working in the munitions factories, living with more freedom and money than they ever had before, but life was far from easy. Lizzie is a strong and independent woman who may not always make the best choices, but certainly has great passion for life and wasn’t afraid to make decisions that some might have felt inappropriate for her position. Eunice initially came across as cold, hard and in control, but as the story unfolds and we learn of her pain and suffering, my feelings towards her softened. There were quite a few twists in the plot and plenty of story lines to keep me page turning, but some things that were hinted at in later parts of the novel seemed to fizzle out unexpectedly. It may be that I am a bit of a drama queen, but I was expecting more drama from the end of the book, although it did reach a satisfactory conclusion. It is certainly an emotional novel with passion, compassion, deceit, loss and grief, which seemed to me to be a realistic portrayal of life during the First World War, mainly from the point of view of the women left behind, but not forgetting the horror of life in the trenches. This would be a great read for lovers of historical fiction. Susan Hughes grew up near a small mining village in Northumberland, England. When she didn’t have her nose in a book and, careless of the class and gender expectations of her upbringing, she was climbing trees, catching water boatmen in a jar from a nearby burn or go-karting round country lanes with the kids next door before taking herself off to University. A career in the City of London during the frenetic ‘Big Bang’ boom of financial de-regulation was followed by marriage, children and a desire for a change of gear. A move to the rural West Country enabled her to raise her sons near the coast and indulge her penchant for visiting stately piles while finding time to keep up her reading habit. Brook Cottage Books is holding a giveaway to win a paperback copy of this book. To enter, use the Rafflecopter link below. This giveaway is open internationally, good luck! A Kiss from France is available in paperback and ebook format and links to Amazon can be found below.